I’ve loved donut holes since the beginning of time. Okay, maybe not that long, but definitely since the mid-eighties. And I’m proud to say I’ve passed the adoration of all things small, cute, and dessert-y on to my girls. We recently cracked open my mom’s old Betty Crocker textbook (circa 1972) to whip up a homemade batch of sweet, sweet donut holes. I know everyone doesn’t have the time, or desire, to make their own donut holes. Don’t sweat it. 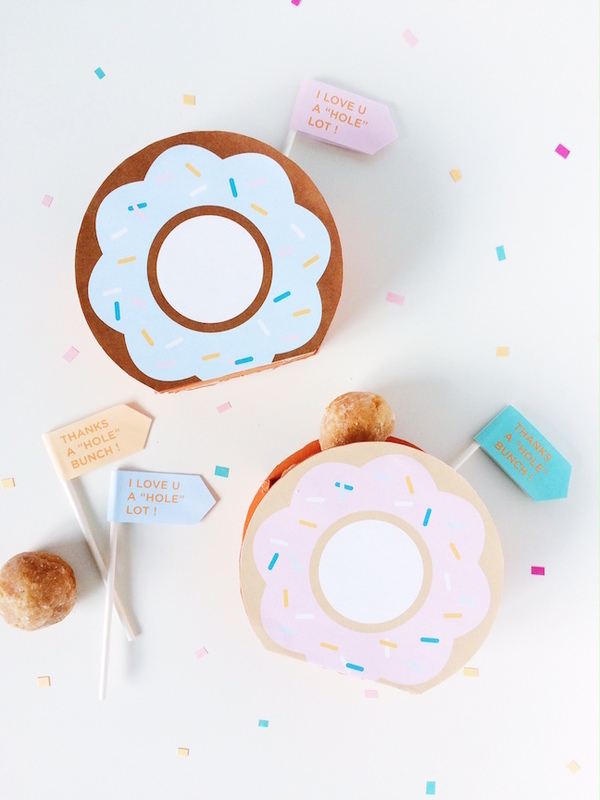 These DIY donut party favor boxes (they’re free printables!) 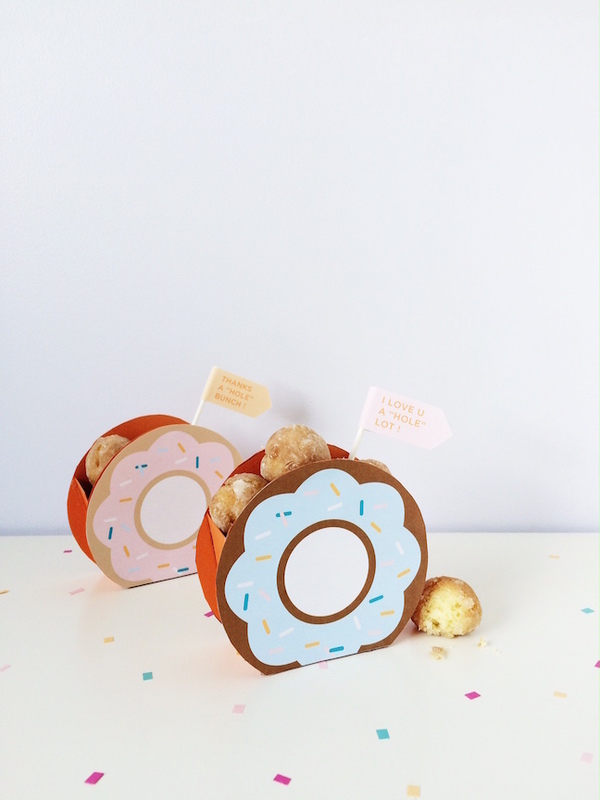 make even last-minute store bought holes look like well-planned party favors. There was lots of squealing when the girls saw these on the table. They thought these little boxes were the cutest. And I can’t really argue with them on that one. 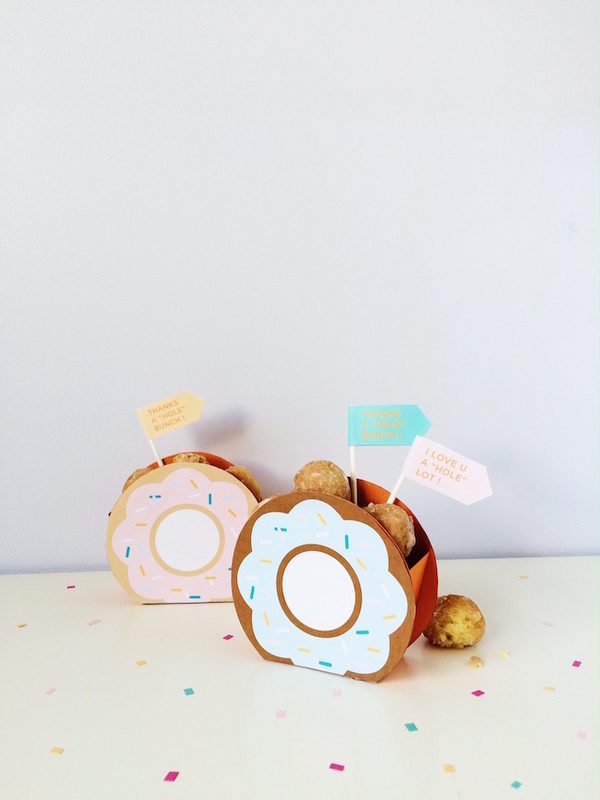 Step 1: Print and cut out our Donut Favor Box document. You will need two copies of Page 1 to create two complete favor boxes. 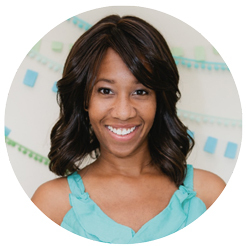 Step 2: Cut out the sentiment flag (Thanks or Love) that fits your occasion. Fold each flag at the white line in the center of the colored strip. Line the inside of the flag with a strip of double-sided tape. Place a toothpick or lollipop stick in the crease, and fold the flag around it to create the favor box topper. Step 3: Trace around the cutout donut twice onto the cover-weight card stock. Cut a 7.5″ x 1″ strip of cover-weight card stock for each box. Fold the strip into thirds to form a “U” shape. Trace one edge of the U-shape with a thin line of hot glue and adhere it to the back side of one donut. Align the bottom portion of the “U” with the flat bottom of the donut. Repeat on the back side of another color-coordinating donut to create a box. Set aside to dry. Step 4: Cut a 7.5″ x 1″ strip of card stock. Fold it into thirds to create a “U.” Line the inside of the favor box with a small piece of parchment paper before placing donut holes into the box. 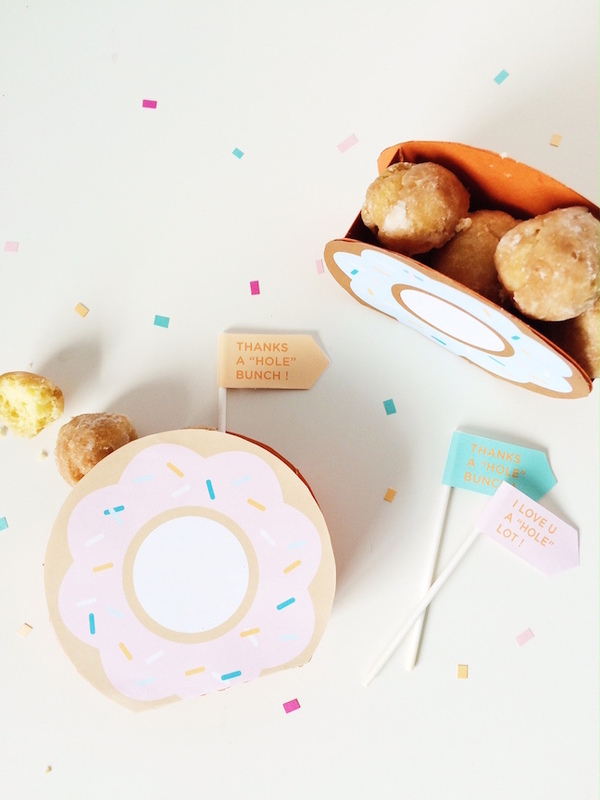 Insert a flag into one donut hole in each favor box to add your chosen sentiment.